How Final Fantasy X uses layers of challenge to keep players immersed in gameplay – What's in a Game? Final Fantasy X (FFX) is a turn-based RPG originally released by Squaresoft in 2001 for Playstation 2 and remastered on PS3, PS4, and PC. While not a perfect game, FFX follows several good game design practices that keep players enjoying the game even 16 years later. One good practice is the use of challenge layering to keep players in flow. Challenge layering is the idea of having multiple challenges for players to accomplish, both required and optional, in order to keep players of different skill levels inside their personal flow channel. Players playing inside their flow channel will be more engrossed in the game and find it harder to put down. Throughout the game, FFX offers various side content in most areas. This side content is usually more challenging than the normal content. Skilled players can take advantage of these extra challenges to help them move faster in the game, by rewarding them with better items or more experience. One shining example is in Kilika. There is an optional boss (Ochu) that forces you to take a longer route through the forest unless you can kill it. Players going through the first time, will probably not be able to kill it and have to go around. This will make them have to fight more battles (making them stronger since they probably need it for the upcoming boss). Skilled players (either strategically skilled or players who have over-grinded) will be able to kill it and allow them to take the shorter route with fewer battles (although some players will explore the other paths for the sake of exploring anyway). After doing what you need to do in Kilika, the game makes you walk back through the forest. This time, you are a little more powerful and just got a new Aeon (Ifrit) that can help you defeat Ochu (Ochu is weak to fire and Ifrit is a fire Aeon). If you can kill him this time the shortcut will save you time and make you feel good. If you can’t, you must walk around, likely fighting more fiends. These extra battles you will get into will help you level up, which is probably something you need to do at this point if you still can’t beat Ochu. This is good negative feedback – doing badly (not being able to defeat Ochu) makes you get stronger by killing more monsters. In other areas of the game, the side content tends to be extra bosses along your path (Belgemine battles), an extra dungeon (Cavern of Stolen Fayth), or mini-games in the world (lightning dodging, butterfly catching – although, most people won’t want to do these when they open up due to random battles). Overall, while the game could’ve had more Ochu-like bosses (particularly ones that would allow you to skip some of Macalania, Bikanel, or Gagazet), the ones that are present are welcome additions. Optional content in post-game is a common pattern several RPGs follow to allow players of different skill levels to find enjoyment in the game. RPGs offer post-game content as a way to offer harder challenges to more skilled players that want them. Early RPGs had the final boss be the hardest encounter which caused unskilled players to struggle and get frustrated – leading them out of their flow channel and more unlikely to finish the game. As plots became more integral, final bosses became easier and the most challenging content was moved to optional stuff. This allows for more types of players to complete the main story and understand the theme that the game designers wanted to deliver while allowing skilled players who wanted that extra challenge a way to get it. FFX has its most difficult encounters in post-game, as well. Let’s consider the international/remastered version in particular. The hardest challenges in the game go something like this: final boss (BFA) < Omega Ruins < Monster arena bosses < Dark Aeons < Penance. In order to do the hardest content, it’s going to take a lot more time investment in growing your characters or more (very) creative strategies. However, most players will be able to complete the game without doing too much extra side content, allowing them to see the satisfying ending scene. In FFX, experienced players can find battles easy (basically rock-paper-scissors). To give these players a little more challenge to battles, they added “Overkill”. In order to overkill a fiend, players must deal the final blow with a certain amount of damage that is defined for each fiend. For example, if it takes 250 damage to overkill a boss and I only deal 249 damage on my last hit to it, I won’t overkill it. Overkilling something gives players extra experience and items, lowering the amount of grinding you have to do. Overkill can make normal battles more interesting. It gives a little more juice to killing things. If you land a critical hit and it overkills, you’re gonna feel good. Skilled players will try to maximize how many things they overkill to get the most rewards from a battle. Novice players are going to be satisfied with just making it through a battle and feel happy when they accidentally overkill something. Overkill is fantastic for bosses because it requires players to think of how am they are going to deal enough damage to perform an overkill. This often leads to strategies where players put themselves in a more vulnerable state (delaying high-damage attacks until the last minute), making the battle harder. Novice players will not care about overkilling and just worry about defeating the boss. Overkill as an excellent way of allowing players to choose difficulty for themselves while not being obvious or intrusive. The Chocobo Eater is an excellent boss that has different goals for players of different skill levels. I have a blog post dedicated to the boss because of all the interesting game design put into it. The most genius part related to flow is that it uses negative feedback help novice players level up more while allowing skilled players to skip the next section. This helps both player-types be in their flow channel for the next dungeon and boss. Another choice for players to create their own difficulty is added in the Calm Lands when you unlock monster capturing. In order to capture monsters, kill the enemy with a physical attack using a weapon that has the capture attribute. This implies a couple things: if you choose to capture monsters, you can’t use magic/summons to kill an enemy and you can’t use weapons that have better attributes on them (you may have been relying on weapons with counterstrike or strength +X%). Monster capturing will encourage skilled players who want to maximize their efficiency to capture monsters found throughout the rest of the game. The extra challenge that comes from it gives skilled players something new to think about while novice players will be struggling to just get through Gagazet, but at least they’ll be able to use magic/summons and better weapons. The progression system, the sphere grid, allows players of high skill to experiment more while allowing novice players a safe option that can get them through the game. Skilled players players can take advantage of various options (I talk more about those here) to mix up the gameplay which will result in challenging themselves more, both in long-term planning strategy and in individual battles. New players will take the obvious path for most characters, which the game is perfectly balanced for. This means they will stay within the bounds of what the game expects and are unlikely to mess anything up. Kimahri starting in the center is an excellent way of adding non-linear flexibility that can lead to fascinating strategies while keeping players able to beat the game, even if they mess him up. Overall, the sphere grid is a great system for bounding player progression that prevents them from accidentally ruining their characters while having enough flexibility to keep interesting decisions possible. This keeps both types of players within their flow channel. Many RPGs have player-driven challenges that can keep skilled players coming back to play your game several times. Examples of common player-driven challenges are low-level games, starting equipment only, and solo-character playthroughs. 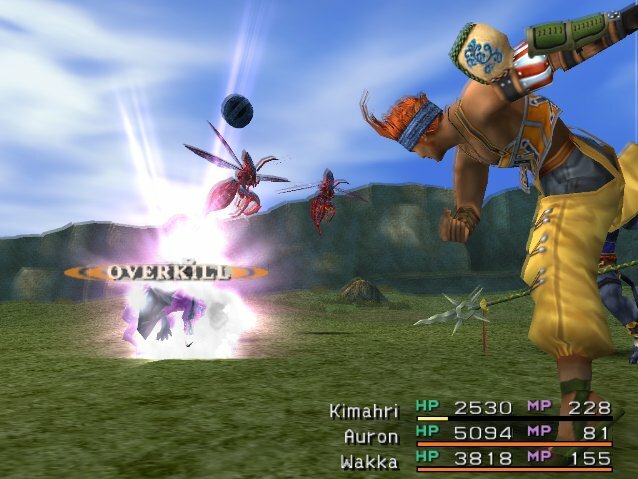 FFX’s game design enables several of these player-driven challenges. If you think summoning makes the game too easy, just don’t summons (NS). If you still find the game too easy, perhaps try a no sphere grid challenge (NSG). Wondering if the game can be finished only with Kimahri? Try a Kimahri-only challenge to see what it’s like. Players have been very creative with combining challenges together too (NSGNSNCNONENNENBB). Why are these so common in FFX? A major reason challenge runs are common: FFX makes it easy to keep your progression in your control. It’s easy to stay at your starting stats the whole game – just don’t ever go to the sphere grid menu. If you only want to learn abilities on the sphere grid, but keep your starting stats, you can feel free to do that too. Weapon customization is another optional progression system. They require you to steal very often to get tons of items. Novice players often don’t steal often because they don’t see the point. Players can start stealing earlier by teaching it to Kimahri, something novice players are unlikely to do. If you’re not using a mix list (which was hard to get ahold of in 2001), you are going to have to memorize the tons of combinations by trial and error. Only skilled players will learn mixes enough to use it to its full potential. Since Mix is really an ability for skilled players, it can allow skilled players to be able to complete the game even while making the game harder for themselves. Novice players are unlikely to find the exploits in the Mix table, thus the game remains at an appropriate difficulty for them. 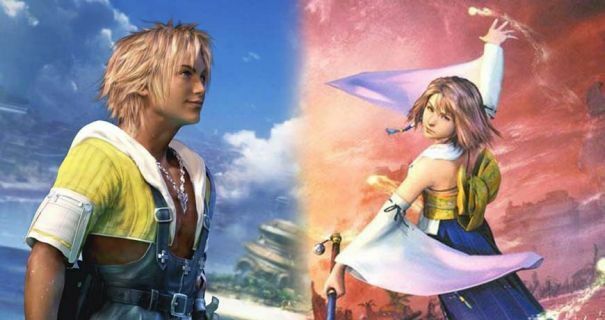 Final Fantasy X offers challenges that appeal to a wide variety of players. There is optional content to give skilled players something challenging to do. The battle system is ingrained with multiple options and goals that let players of different skill levels choose how they want to defeat enemies. The progression system is built on the idea of allowing novice players to be able to get through the game without getting lost, while still giving skilled players freedom to make interesting decisions. Players are able to easily create challenges for themselves that keep them coming back for more. While the game has its flaws, the various uses of challenge layering can make the game engrossing to play whether it’s your first time or twentieth.